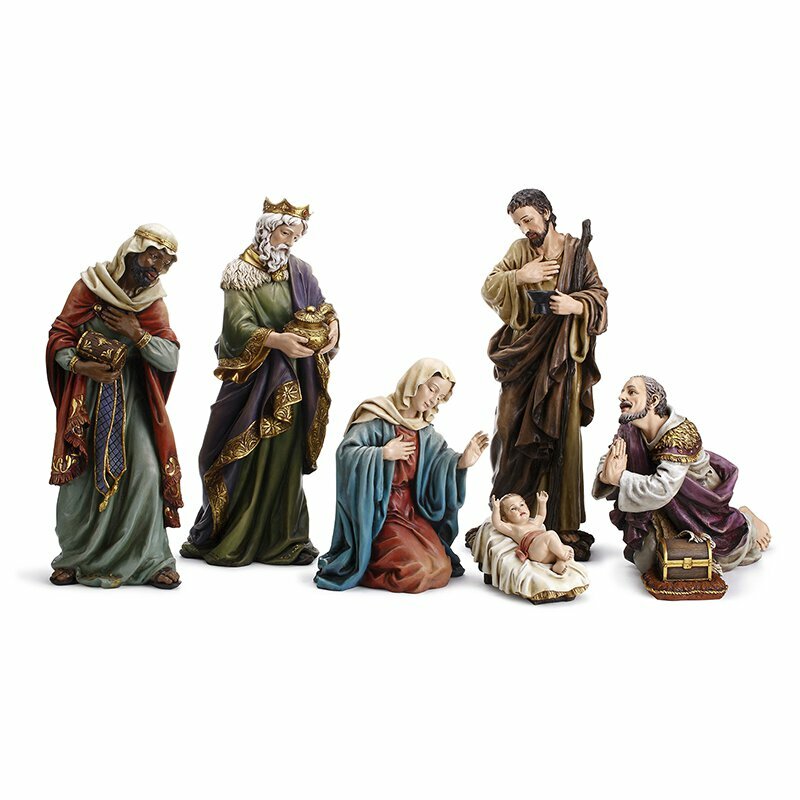 Experience the timeless beauty of this Nativity Set depicting the birth of the Christ Child and those who came to honor him from our Sacred Tradidtions™ Collection. Each replica is perfectly shaped and hand-painted with vibrant colors on stone resin. Set comes with 7 pcs which include Baby Jesus, Mary, Joseph and three Wise Men.